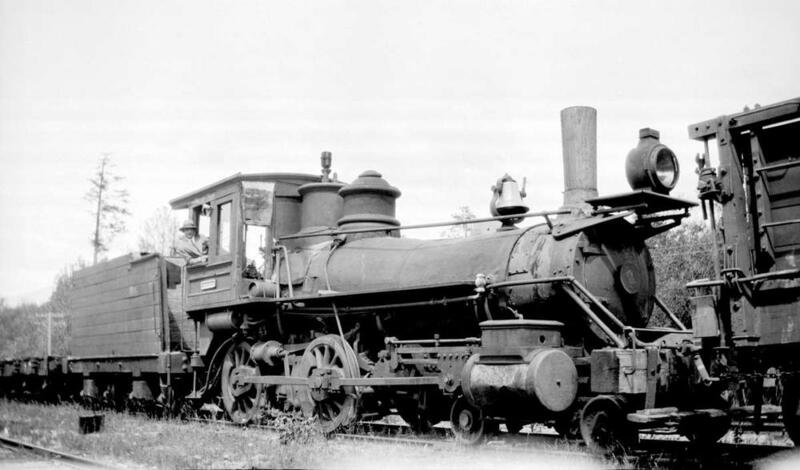 ItemH-06634 - 2-6-2T Comox Logging Co. Tank No. 3; Ladysmith. ItemH-06638 - Comox Logging Co. 2-Truck Shay No. 12. Left Broadside. Excellent Detail. Closeup. On Static Display At Crown Zellerbach Outdoor Railway Museum, Ladysmith. ItemH-06639 - 2-8-2T Comox Logging Co. Tank No. 18. 3/4 Left. Closeup. Fair Detail. Dead, Out Of Service. Ladysmith. ItemH-06640 - 4-4-0 Cheakamus Logging Co. American No. 2, dead in Pacific Great Eastern Railway yard, Squamish. ItemH-06641 - 4-4-0 Cheakamus Logging Co. American No. 2, dead in Pacific Great Eastern Railway yard, Squamish. ItemH-06642 - 4-4-0, Cheakamus Logging Co. American No. 2; Vancouver. ItemH-06643 - 4-4-0, Cheakamus Logging Co. American No. 2; Vancouver. ItemG-03193 - Macmillan Bloedel Ltd. 2-Truck Shay, No. 2; as display in park at Port Alberni. Item H-06640 - 4-4-0 Cheakamus Logging Co. American No. 2, dead in Pacific Great Eastern Railway yard, Squamish.